The above info came from Elwin Blaine Coldiron, and was edited by yours truly (contact me). 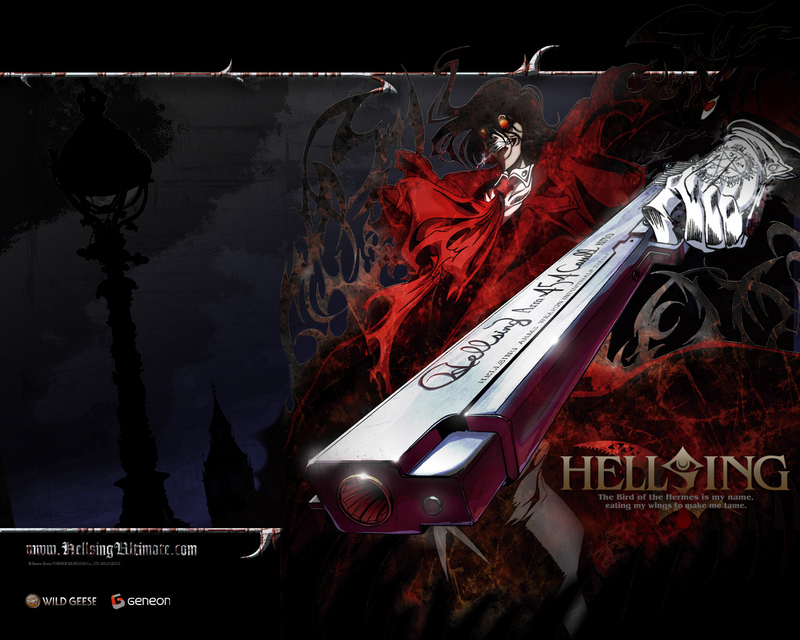 The image came from Geneon-Ent.co.jp. 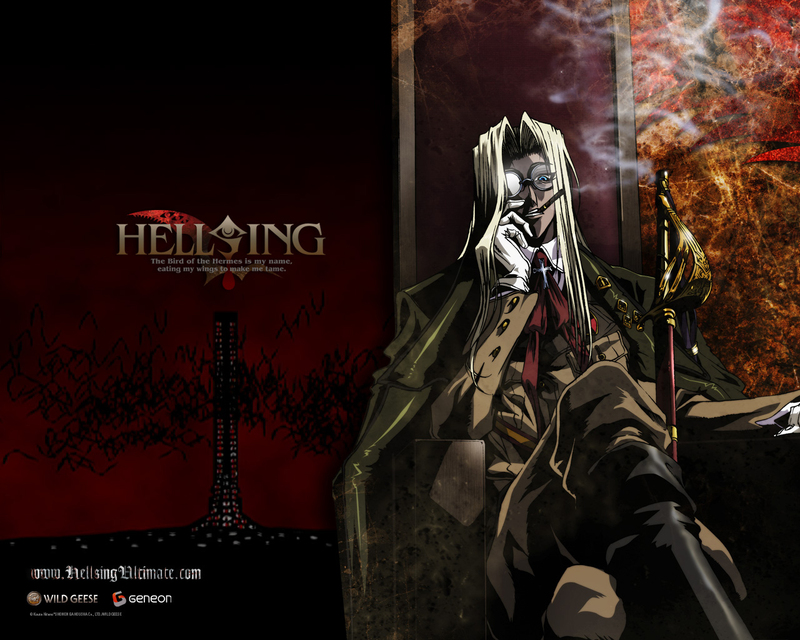 In 2005, it was announced that Geneon, along with the co-operation and blessing of Hellsing creator Kohta Hirano, would produce an OVA series based on the Hellsing manga. 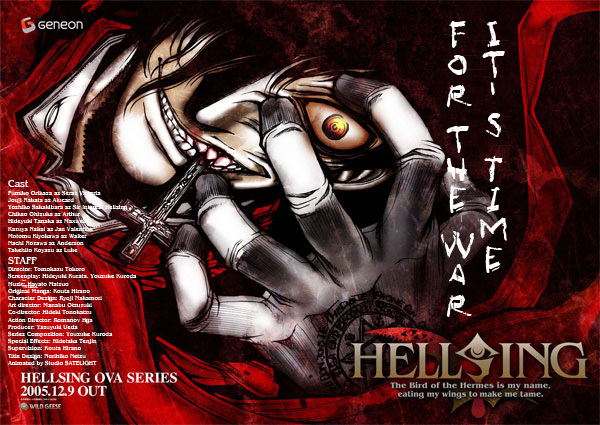 The first episode is slated for release in Japan around December 9. 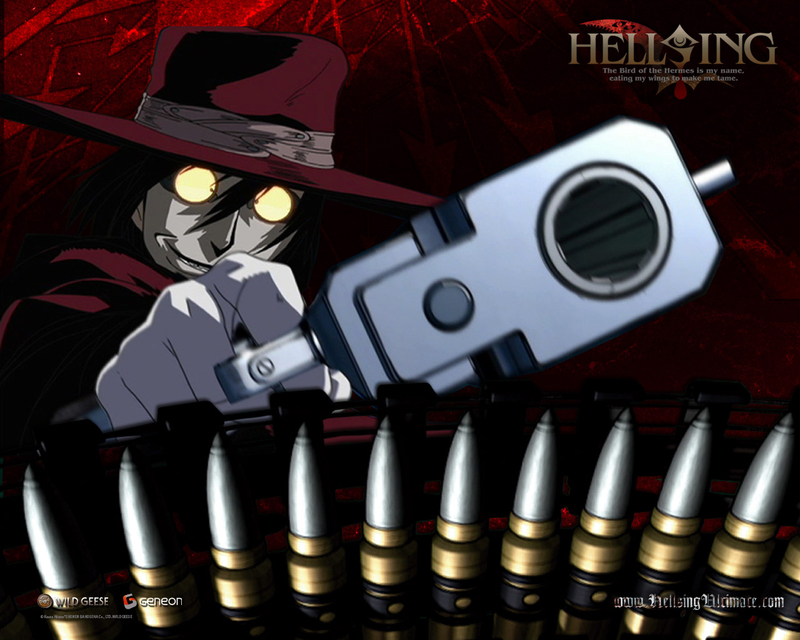 This series will completely ignore the previous Hellsing TV series. Lately, a rash of artificially-created vampires has taken the organization by surprise. 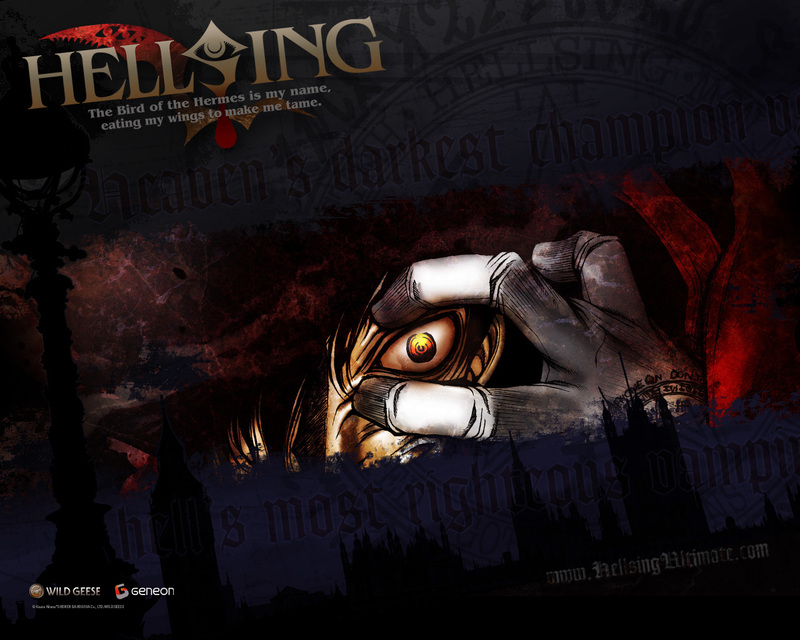 As it turns out, a neo-Nazi society known as the Millennium Order is responsible for creating these vampires. Their sole purpose... to achieve what Nazi Germany couldn't do over 60 years ago with human soldiers... the total conquest of the world! 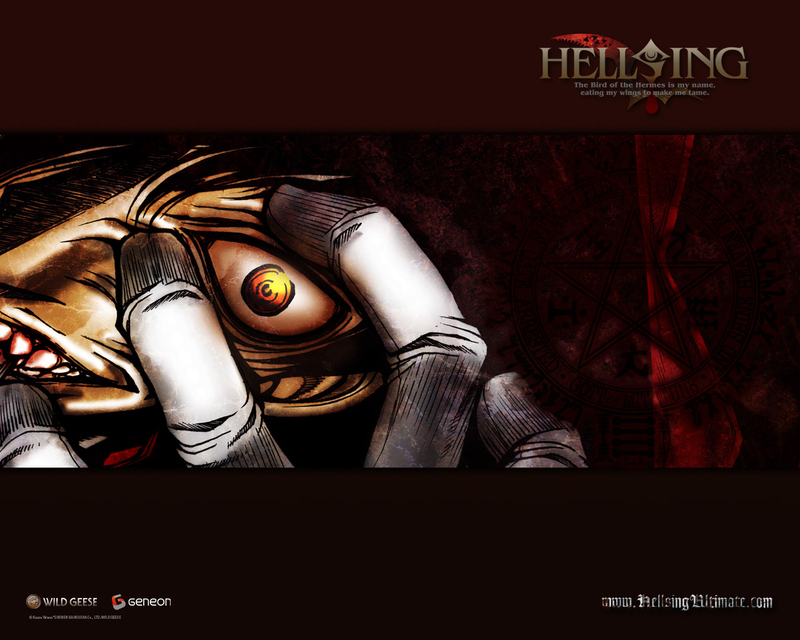 Note: Apparently in the manga it was recently revealed that Alucard is, in fact, Dracula.